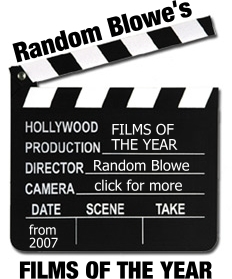 Random Blowe: Climate Camp - Is More of the Same Enough? Climate Camp - Is More of the Same Enough? I returned to Climate Camp yesterday primarily to take part in the Red Pepper organised workshop, ‘10 Years on from Seattle: anti-capitalism, where now?’. This turned out to be by far the most interesting of the sessions I attended at the Camp, with knowledgeable and interesting speakers and a wide-ranging debate amongst other participants about where ‘anti-capitalism’ goes from here. James O’Nions from Red Pepper and Green Party activist Derek Wall set out their views on the critiques that an anti-capitalist left should make and touched on the lack of both long-term institutions and depth of detailed analysis that could help build on the principles that guided the Seattle protests. Ruth Tanner from War on Want spoke about the role of popular movements in the global South and the need to maintain a broad and diverse movement whilst Katherine Ainger, co-author of 'We Are Everywhere', reminded us that in 1999, protest took global capitalism by surprise. It directly challenged for the idea of the supremacy of neoliberalism, the idea that ‘there is no alternative’ and that those who claimed otherwise were essentially fringe extremists, but as Katherine said, the movement now looks remarkably prescient: with the current financial crisis, everyone can see that the emperor has no clothes. In comparing the way capitalism seeks to control perceptions of what is possible with John Carpenter’s 1988 film ‘They Live’, in which the central character discovers special sunglasses that enable him to see a world bombarded by media and government messages that say ‘submit to authority’, Derek amusingly made the same point – more and more people have no need for a filter to see that there must be an alternative our disastrously unstable economic system. One possible reason for the lack of sustained momentum that followed Seattle was, of course, the changing political climate after the 11 September attacks on the US. The focus of protest movements, certainly in Europe and the US, changed to opposing the wars in Afghanistan and Iraq and the impact of the war on terror. This didn’t come up in discussion, perhaps surprisingly, but what did during Katherine’s excellent contribution were the problems that apparent success can bring. Amongst these are a tendency to simply repeat the same tactics because they have worked before – more summit protests, more Social Forum meetings, more marches and even in the context of Climate Camp, more attempts to shut down power stations. Is more of the same enough? Another real danger is that capitalism attempts to co-opt ‘moderate’ or ‘nice’ protesters, divide them from others it would like to once again sideline and label as ‘fringe’, so that radical alternatives rejecting the plans of the G20 industrial countries – which are essentially a return to business as usual – can be marginalised. The debate that followed was interesting in that it prefigured to a certain extent the ‘Great Navel Gaze’ that takes place today at the Camp. It was undoubtedly far more constructive than the rather incoherent workshop on Saturday that tried to address similar issues. One idea raised was that a little utopianism might be helpful in offering greater clarity about what Climate Camp is positively in favour of and what a future society might look like, not just what we are against. The suggestion wasn’t for some manifesto or blueprint, although one participant rather huffily tried to set out a straw-man argument that this was what had been proposed. Instead, it was a call for honesty: if Climate Camp claims to be ‘anti-capitalist’, what does that actually mean? Is it acceptable to continue to argue that ‘capitalism is a bad thing’ and has no prospect of halting catastrophic climate change, without giving at least some indication of what ‘post-capitalism’ – a term that many workshop members seemed unfamiliar with – might actually look like? One of the positive consequences of the absence of heavy policing at this summer’s Climate Camp, of the lack of a unifying sense of the ‘enemy at the gate’, has been allowing space for more open debate that has revealed the differences within the movement, which were evident in the workshop. Even amongst those who describe themselves as ‘anti-capitalist’ there are, for instance, some who are clearly anti-technology, whose utopia involves a return to a more rustic and primitive society, whilst others are asking more interesting questions about whether technology, freed from the market and from ownership by corporations, can provide the innovative solutions need to tackle problems like food or energy production, if coupled with a huge reduction in the levels of conspicuous consumption and wastefulness that the markets generate. But there may be negative consequences, too, of not experiencing the unity of living under siege. One of the other issues that came out from the workshop was the severe lack of connection between much of the ‘anti-capitalist’ rhetoric and a sizable number of those taking part in this year’s Camp – not only over a vision for the future but over the level of direct action. Many participants felt that Climate Camp had become rather too comfortable, less challenging and unsettling for the government and the media than a radical movement should really be. There is a realistic possibility that the police violence on 1 April has had an unexpected effect: far from firing people up, a clear majority might actually have been relieved to be engaging with something that was not too confrontational, which may explain why all the ‘actions’ over the weekend were largely symbolic. Certainly when I cycled down to the Woolwich Ferry yesterday to cross into south London, passing London City Airport, I had little expectation that the ‘flash mob’ an hour earlier might have led to independent affinity group actions, temporarily stopped flights or even involved any arrests, perhaps because of the evident police presence I saw. There is a risk in overstating this – activists’ sense of purpose is still far advanced than most of the wider population and to be fair, there also seemed in the workshop a real sense of urgency to make sure that before this year's Camp winds down, there would at least some direct action that will shake things up a little. We'll have to see what happens today. However, the lesson that repeating the same tactics simply because they have worked before remains an important one. If the aim is to ever take global capitalism by surprise again as the protesters did in Seattle, at a time when ‘fringe’ arguments are less extreme than they once were and there is genuine fury about the conduct of the financial system, then something has to change. The enormous amount of work that went into an inspiring self-contained community this year needs to be geared in future towards something a little more ‘dangerous’ than a welcome period of reflection on Blackheath. More of my photos from Climate Camp can be found on Flickr.